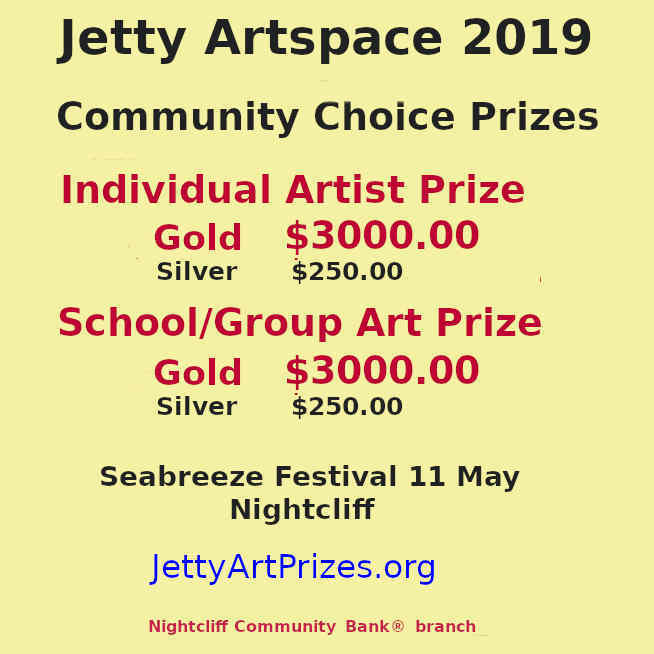 NT MADE short film, music clip and long short competition, awards and festival. 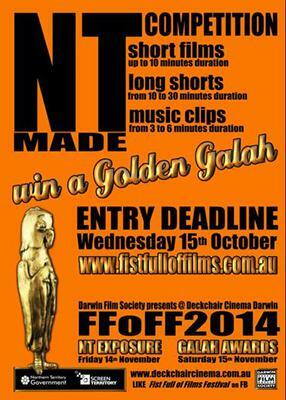 ENTRY DEADLINE Wed 15 Oct.
FFOFFestival 14 & 15 Nov at Deckchair Cinema Darwin. Friday 14 - NT EXPOSURE. Saturday 15 - The GALAH AWARDS celebrating NT film and filmmakers. Fist Full of Films is the Northern Territory's only homegrown short film festival. Each year it provides Territorian filmmakers with incentives to create new work and build capacity through skills development and networking opportunities. Over the coming years, Fist Full of Films will: increase the number and quality of films being made in the Territory by community, entry-level and emerging filmmakers by building their capacity; develop the Festival into a nationally recognised, quality short film festival; showcase films from Indigenous communities to broad audiences; reflect changes in Australia's film/media landscape by allowing opportunities for mobile device/new media/digital art films to be presented. Join in and write your own page! It's easy to do. How? 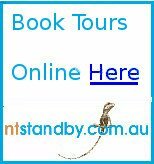 Simply click here to return to Darwin 2014 Calendar.